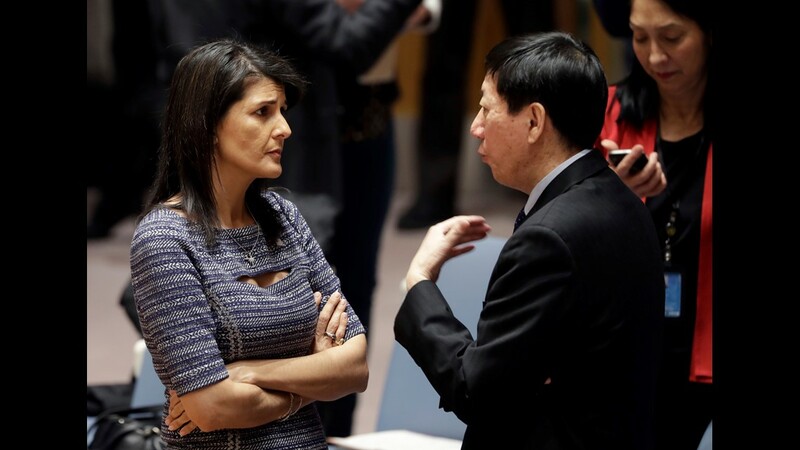 WASHINGTON – Outgoing United Nations ambassador Nikki Haley said she used President Donald Trump's unpredictability and bellicose rhetoric to persuade other world leaders they had to crack down on North Korea or the U.S. would take military action. 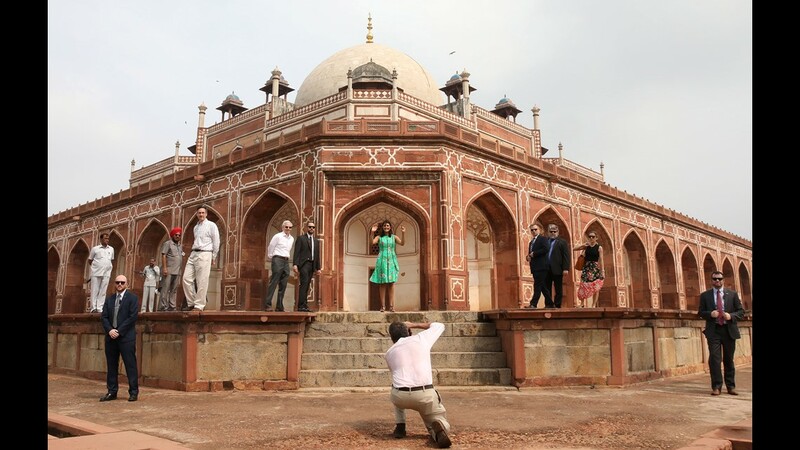 "I bounced it off the president’s rhetoric, saying, 'I can’t stop him. I’m not gonna be able to control him. 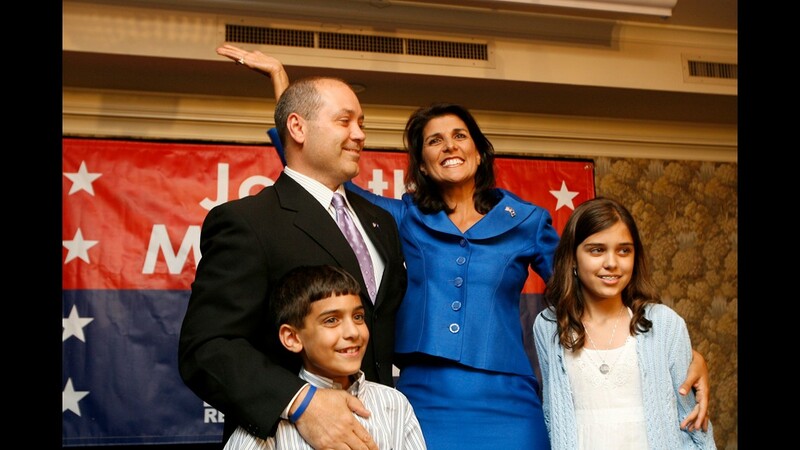 We’ve gotta get this done,'" Haley told The Atlantic magazine in an interview published Friday. 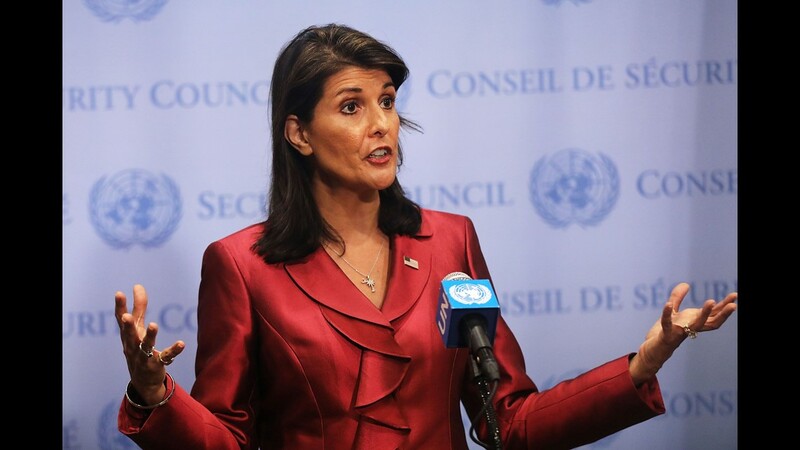 "The president had really strengthened his rhetoric at that point," Haley said, presumably referring to Trump's threat to unleash “fire and fury” on the North Korean regime. 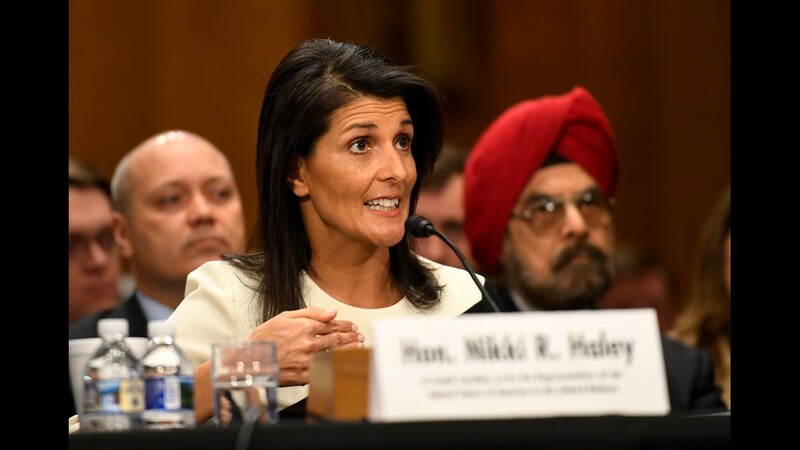 Haley said she knew Trump's harsh rhetoric was a ruse. Asked if the U.S. was really close to war with North Korea, she said no. "Having said that, if they had launched something, if it had come near the U.S., the president totally would have. But at the time, were we gonna instigate something? No," she told The Atlantic. 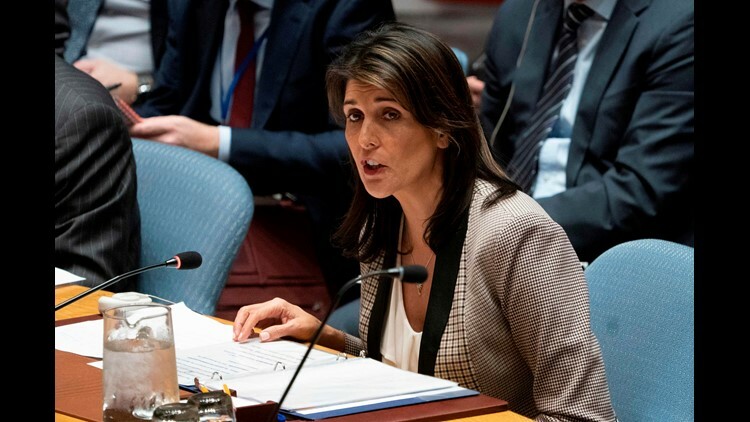 Haley said other world leaders seemed uncertain about Trump's true intentions, which strengthened her hand as she pressed the U.N. to pass a series of crippling sanctions against North Korea. 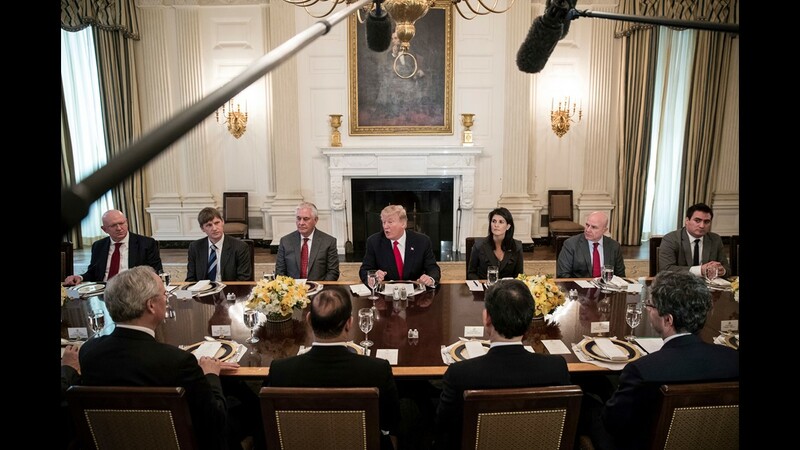 Trump and others have said those sanctions helped drive the country's leader, Kim Jong Un, to the negotiating table, although the results of the ongoing U.S.-North Korea talks remain unclear. 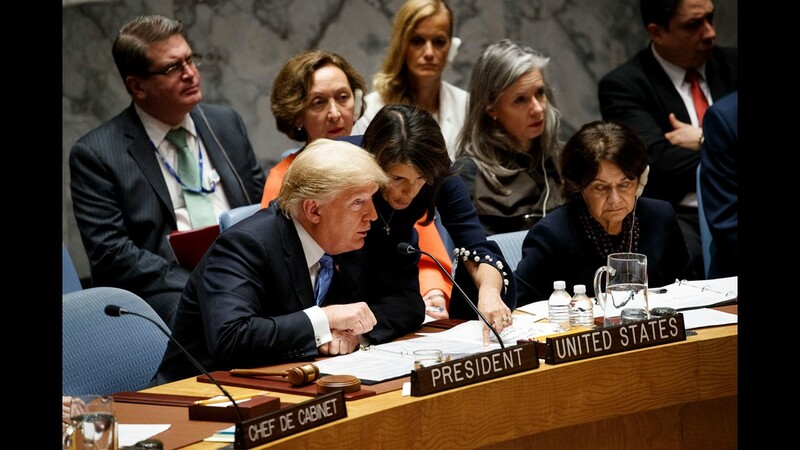 In this Nov. 26, 2018 photo, US Ambassador to the United Nations Nikki Haley addresses the U.N. Security Council during meeting on Ukraine at the United Nations in New York. 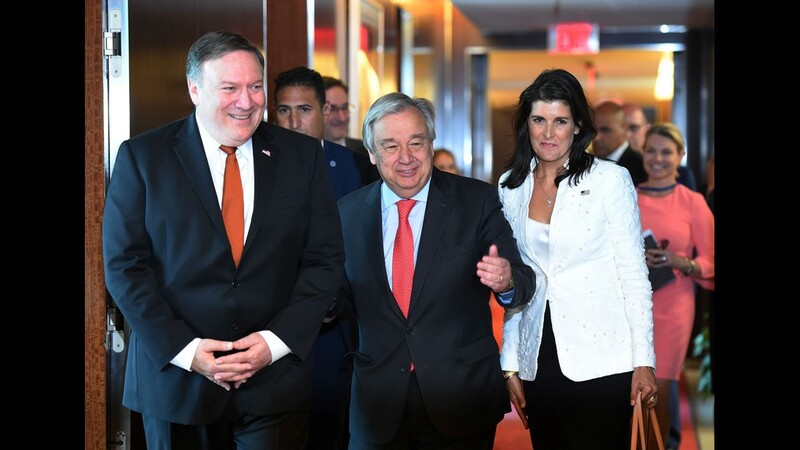 In the interview, Haley also went further than Trump and other administration officials have in naming Saudi Arabia's crown prince, Mohammed bin Salman, as culpable for the murder of Washington Post columnist Jamal Khashoggi. 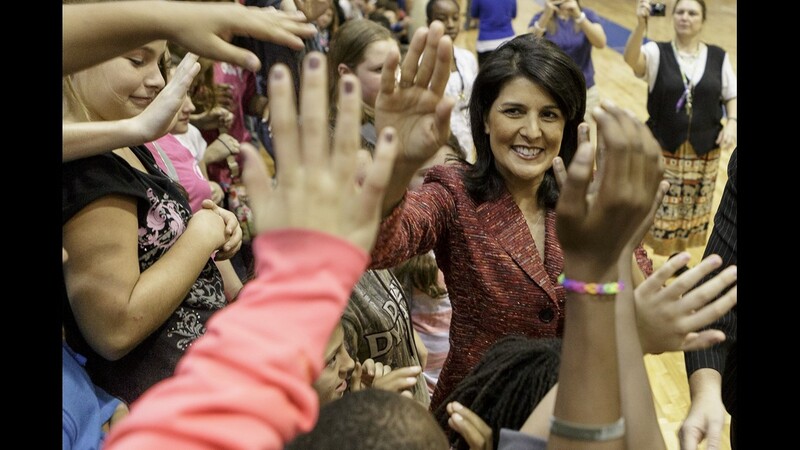 "It’s his government," Haley said of the kingdom's de facto ruler. "His government did this, and so he technically is responsible." 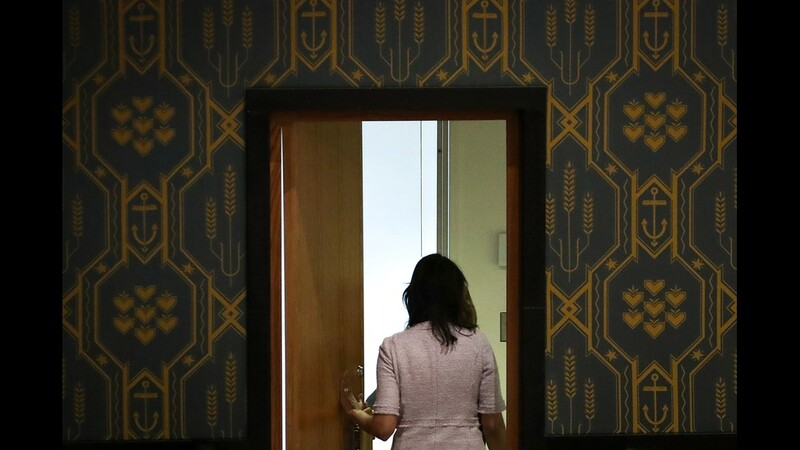 After CIA Director Gina Haspel briefed key senators on the case earlier this week, lawmakers said they were convinced the crown prince ordered Khashoggi's killing. 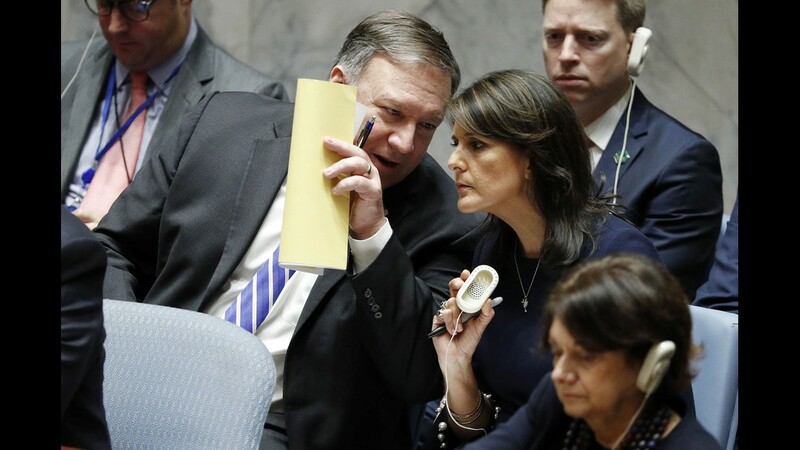 Trump has cast doubt on the CIA's assessment, and Secretary of State Mike Pompeo has insisted there is no direct evidence implicating the crown prince. 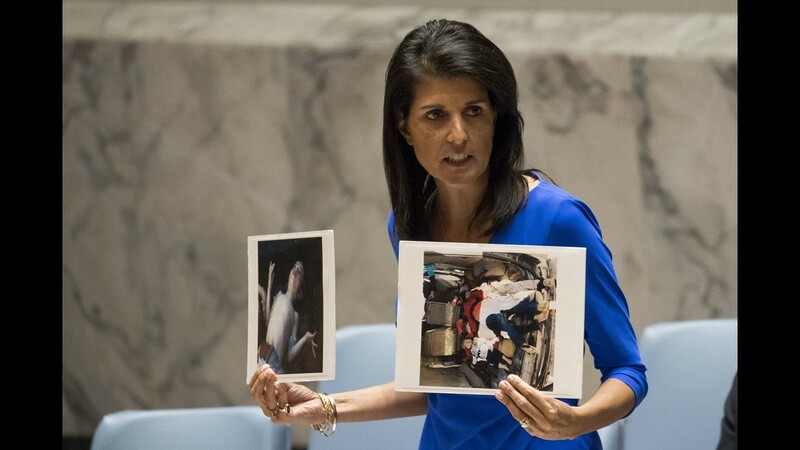 Haley said the U.S. cannot give Saudi Arabia a "pass" for the murder, although she did not say what steps the administration should take against the regime.
" ... We can’t give them a pass. We can’t," she said. "We can’t condone it, we can’t ever say it’s OK, we can’t ever support thuggish behavior, and we have to say that." 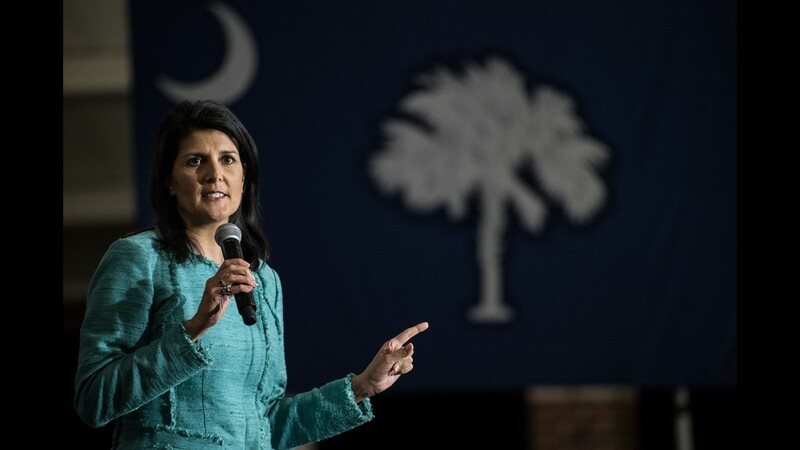 Pressed on her own political ambitions, the former South Carolina governor insisted she was not contemplating a presidential run. "You know what I think about? I think about sleeping in," she said. "I think about binge watching TV for a day, I think about not having the stress level that I’ve had for the last eight years." 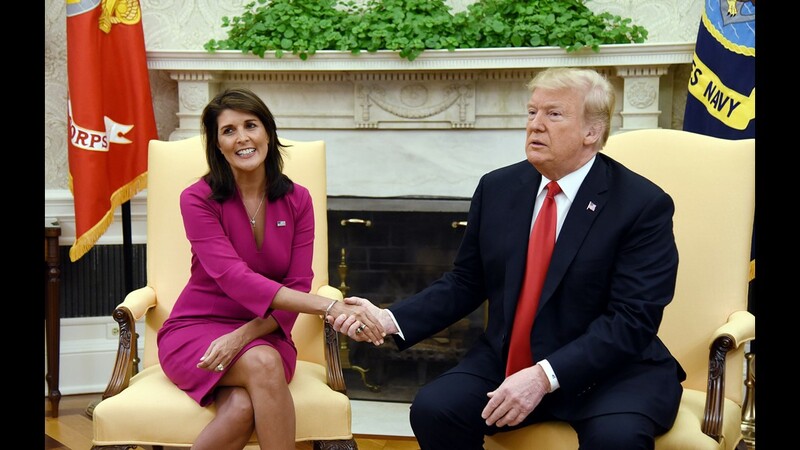 President Trump shakes hands with Nikki Haley, the United States Ambassador to the United Nations in the Oval office of the White House on Oct. 9, 2018 in Washington, DC. 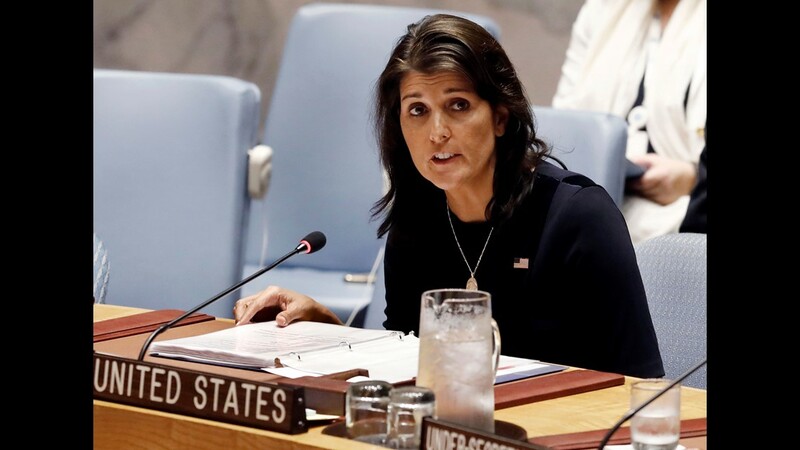 Nikki Haley resigned as the US ambassador to the United Nations, in the latest departure from President Donald Trump's national security team. 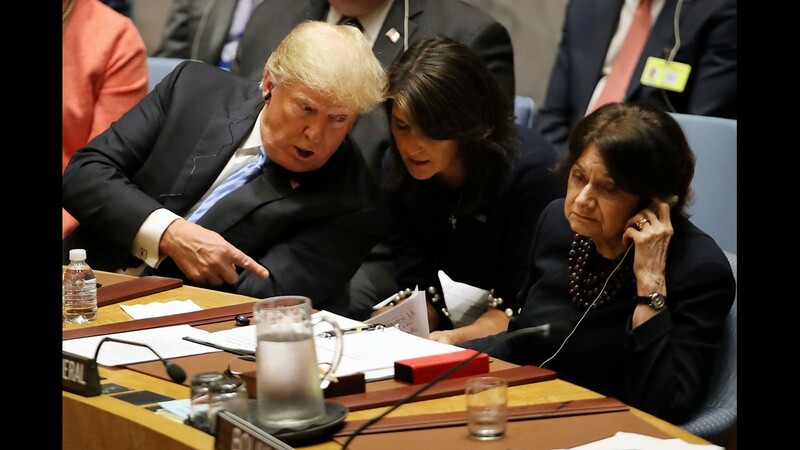 Meeting Haley in the Oval Office, Trump said that Haley had done a "fantastic job" and would leave at the end of the year.